If your doctor misdiagnosed your kidney cancer, you could be eligible for substantial compensation. 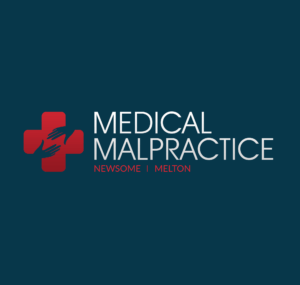 To Schedule a Free Medical Malpractice Case Evaluation, Call 855-633-2757 Today. Misdiagnosis of kidney cancer is often considered medical malpractice. When a patient visits a doctor or health care provider complaining of symptoms associated with kidney cancer, and the doctor fails to investigate further or run tests to rule out the potentially deadly disease, major consequences can result. These are consequences that might have been avoided if the doctor had upheld their duty of care. If you suffered harm because a doctor misdiagnosed kidney cancer, you deserve compensation for the injuries you suffered. A kidney cancer misdiagnosis lawyer can help. At Medical Malpractice Help, our attorneys help victims of medical negligence across the U.S. collect the compensation they deserve. We offer free case evaluations where we can discuss your situation, answer your questions, and guide you through your options. To schedule an appointment with a medical malpractice lawyer, call our office today at 855-633-2757. The doctor ran tests for a different condition and interpreted a false positive result, which led the doctor to treat a nonexistent condition instead of the kidney cancer. Any of the above medical errors could constitute medical malpractice if the evidence shows that a competent and reasonable physician would not have made the same mistake. If another healthcare provider would have made the proper diagnosis based on the information at hand, your doctor might have committed medical malpractice. Doctors have a responsibility to attempt to properly diagnose patients. After all, if a physician cannot figure out what is wrong with a patient, how can they effectively prescribe treatment? Presented with one or more of the above, a doctor should order further examinations and run tests to rule out kidney cancer. Failing to do so can rise to the level of malpractice if the patient suffers injuries as a result of the misdiagnosis. Several genetic, lifestyle, and health factors can raise one’s risk of developing kidney cancer. Again, a doctor exercising their duty of care should be alert to patients who present one or more kidney cancer risk factors. Cigarette smoking increases the risk of developing renal cell carcinoma (RCC). The more a patient smokes, the more that risk increases. Being significantly overweight also increases patients’ risk of RCC. Exposure to cadmium, certain herbicides, and certain organic solvents might increase the risk of kidney cancer. Patients with RCC in their families have higher rates of developing the condition than patients with no family history. This increased risk could be due to genetic factors, environmental conditions, or both. Patients with high blood pressure have higher rates of kidney cancer, though it is not clear whether this is because of hypertension itself or the medications used to treat it. Males develop kidney cancer at about twice the rate of females, and certain races, such as African Americans and American Indians, have slightly elevated rates. You could be eligible for substantial compensation if a doctor caused you or a loved one harm by misdiagnosing your kidney cancer. However, to win you the money you deserve, we must prove that your doctor’s actions constituted medical malpractice. To do this, we have to demonstrate that four specific events happened. A doctor cannot commit malpractice if they had no specific duty to a patient. Fortunately, a duty of care is generally easy to prove. If you had a doctor-patient relationship with the provider—as evidenced by something as simple as a bill from the office—we can establish a duty of care. The Doctor Breached Their Duty of Care. To show that your doctor failed to uphold their duty of care to you, we have to prove that their actions did not meet the “reasonable person” standard. If a reasonable doctor in the same situation would have made the right diagnosis, your doctor might have violated this standard and breached their duty. You Suffered Injuries Because of the Doctor’s Negligence. We next must show a direct link between the doctor’s actions—or failure to act—and specific injuries that you suffered. If you had to undergo additional treatments because of your doctor’s negligence, we can likely prove this point. You Incurred Damages as a Result of Your Injuries. Last, we have to establish that you suffered economic or non-economic damages as a result of your injuries. Our attorneys relentlessly fight for how much compensation you are eligible to receive. The Medical Malpractice Help legal team wants to help you get the fair compensation you deserve after a kidney cancer misdiagnosis. If you suffered injuries after your doctor failed to diagnose your condition, call us today at 855-633-2757 for a free case evaluation.